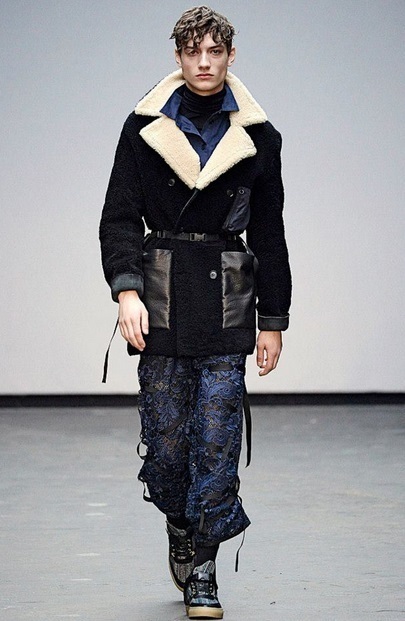 Looking at AW15 London Collections: Men it is clear that texture is a key theme for the season, being keenly explored through fur, wools, brocades and more. At Hawthorne & Heaney what has really caught our eye is the use of embroidery in menswear. 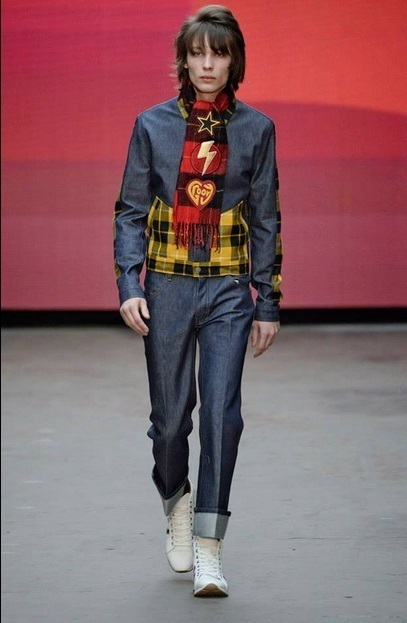 It can sometimes be a hard balance to strike, with an area that is so closely associated with femininity but there were some well integrated pieces that go to show that embroidery for menswear can be just as beautiful. 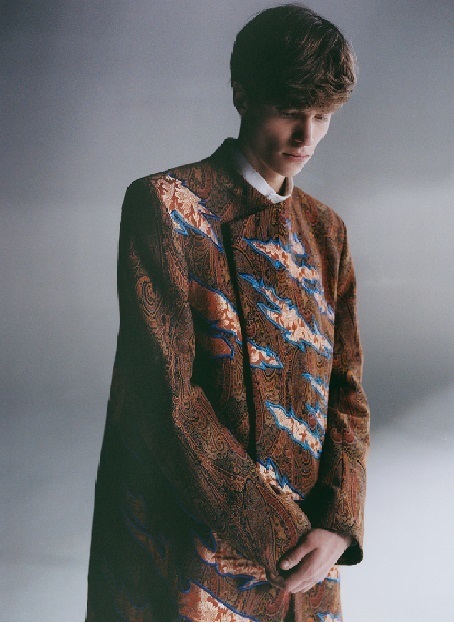 Antonio Bizarro and James Long took more of an appliqué approach to their embroidery with Bizarro applying large areas of intricately patterned brocade to his jacket using a contrasting satin stitch edge. James Long provided a touch of androgyny to his collection using chunky guipure inspired lace motifs to offset the sportswear cuts. 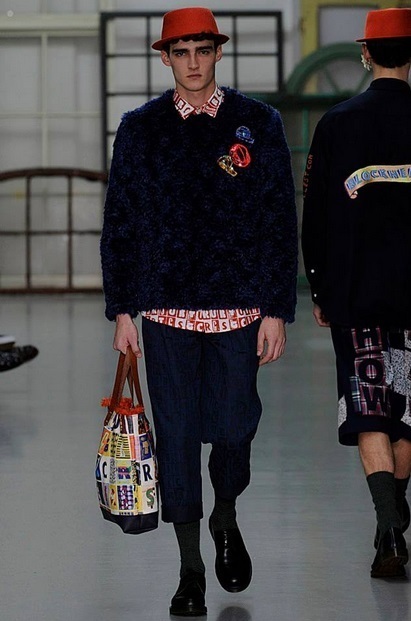 There was also an abundance of pop details such as these embroidered badges which were seen at both Kit Neale and Topman. 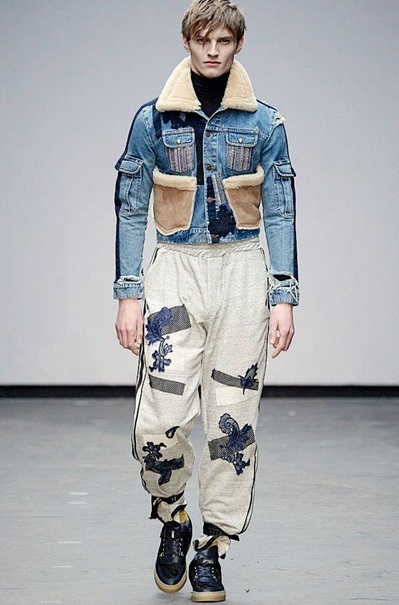 This slots cleanly in with the customisation trend that has been dominating our catwalks and long may it continue.